The Carver plant in Pulaski, Wisconsin, is busy this year. 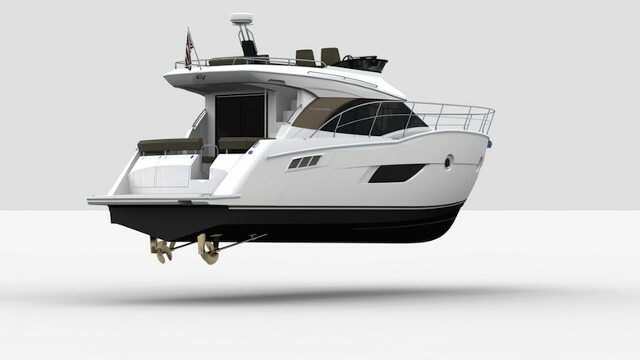 Just a few months after the first boat in a brand-new series came off the line, this builder is announcing the debut of the C40. 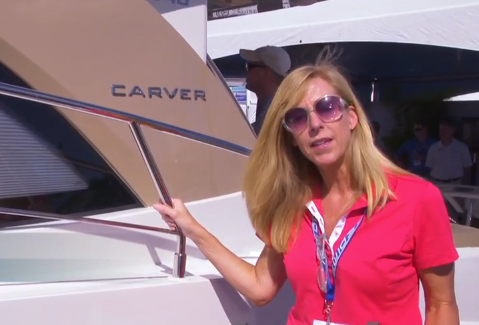 The all-new Carver C40 is a boat designed to cruise family style, with liveaboard-like space, reliable performance, and a price that will allow you to fill up the fuel tank for long runs on weekends—without dipping into the kids’ college savings fund. 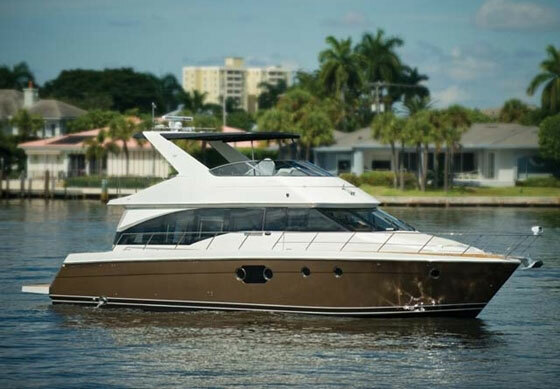 The C40 follows in the wake of the new Carver C34, a command-bridge cruiser packing plenty of value as it has two private staterooms, a long list of standard equipment and well-appointed living areas, all for about $325,000. 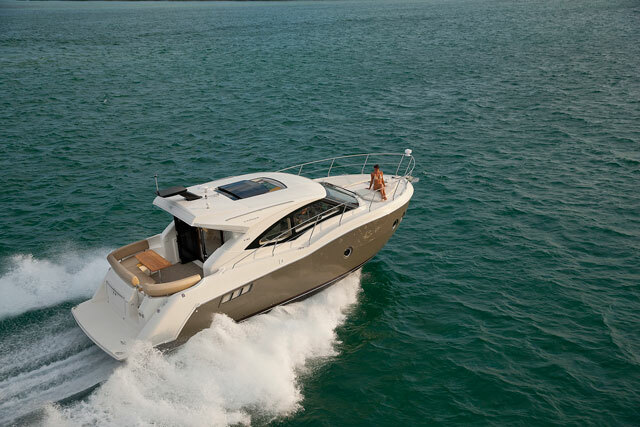 The C40 also is a command bridge design, and it too features the new styling and fresh lines that are redefining the Carver brand. It’s handsome with a full plumb bow for coastal work, plus a broad beam that promises roomy accommodations, the type that will draw envy from crews tucked inside low-slung express cruisers of the same length. 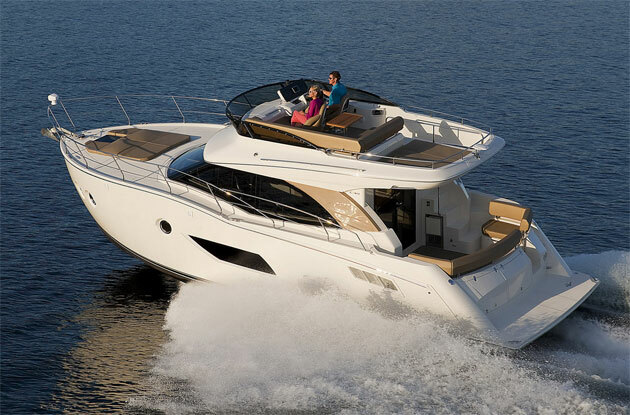 The C40 is the latest cabin cruiser to come from Carver, and it follows quickly on the heels of the introduction of the C34. 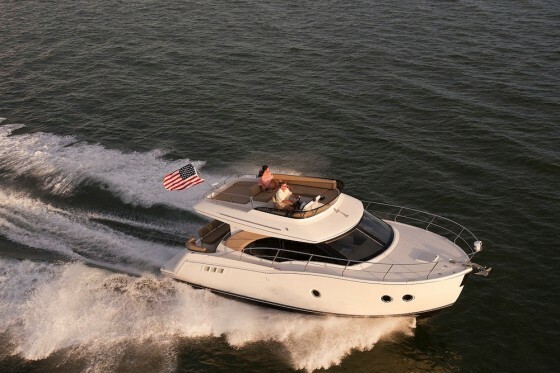 Key features include two big outdoor entertaining areas (bridge and cockpit), an integrated swim platform, and a main cabin with salon and galley on the same level. For overnighting, there’s a master stateroom, a guest cabin, and convertible lounge in the salon. With those accommodations, the C40 will sleep six. 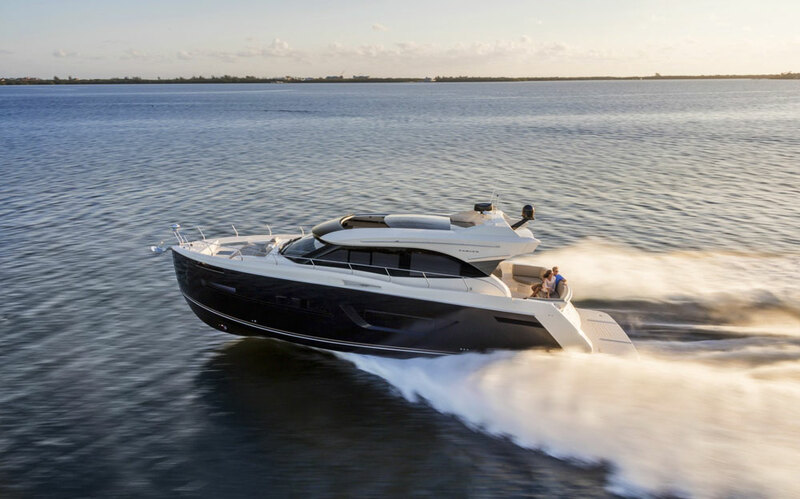 For power, the C40 has a pair of inboard engines that the company says will push the boat to a top speed in excess of 30 mph. 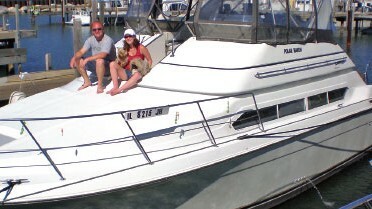 To keep the monthly payments on the lower side, order the gas engines. Spend more up-front for twin diesels, and you’ll realize savings later on with economical performance. Twin inboards should make for easy maneuvering, but to take all of the tension out of those dock approaches Carver includes a bowthruster. The C40 is scheduled to make its public debut at boat shows scheduled for the late summer and fall.